Once again we have loads of exciting news to announce! We finally can announce the nominees of this years ANCHOR – Reeperbahn Festival International Music Award as well as ten high profile German bands to take part in the Wunderkinder programme. Let's watch these aspiring artists on the rise and establish promising business relationships. The ANCHOR – Reeperbahn Festival International Music Award is a label of excellence and a stepping stone into the nominated artists’ international career as demonstrated by last years’ winners Albin Lee Meldau who signed a worldwide major record deal and Jade Bird who is currently playing her first headline tour in the US. We are proud to announce the ANCHOR 2018 Nominees! Go to ANCHOR 2018 Nominee playlist. The ANCHOR 2018 Judges Linda Perry (songwriter, singer, producer, ex-4 Non Blondes), Skye Edwards (Morcheeba), Cassandra Steen (Glashaus), Tony Visconti (music producer) and Jason Bentley (music director KCRW) will attend the live shows of the nominees at Reeperbahn Festival and eventually select the winner. All Reeperbahn Festival delegates are welcome to join the Award Show of ANCHOR 2018 on 22 September at St. Pauli Theatre, where the winner will be announced! Nominees are still looking for labels, management, or publishers. We have compiled a helpful list for all types of searches regarding services and representation in different territories. “Wunderkinder – German Music Talent” is now in its sixth consecutive year and is Reeperbahn Festival’s music export programme that showcases domestic talents to the music industry representatives in attendance. The selected Wunderkinder - 10 high profile German bands and artists who are well-positioned to take their careers to an international level - will appear at three Reeperbahn Festival clubs on Wednesday, 19 September. In the past, German newcomers such as actual shooting stars GURR, the all time favourite electronic live act KID SIMIUS, worldwide touring act ROOSEVELT and many others took part in the Wunderkinder project and then went on to play international festivals including Eurosonic, The Great Escape and Iceland Airwaves, and to work with international booking agencies and management companies. For the first time the programme has been extended by the accompanying possibility of a show at SXSW in Austin, Texas, and Reeperbahn Festival’s New York Edition. 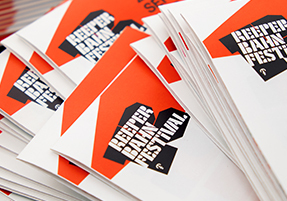 The programme of the VUT Indie Days that complement and enriches the Reeperbahn Festival programme is now complete. The programme includes lots of sessions, workshops, presentations, networking events, meetings, and, of course, the VIA VUT Indie Awards – the awards for independent excellence. 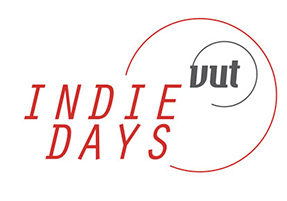 The VUT Indie Days will be held between 19 – 22 September during Reeperbahn Festival at VUT Indie House @ sanktpaulibar. The VIA VUT Indie Awards ceremony takes place on 20 September at Schmidts Tivoli. The VUT Indie Days are organised by the German Association of Independent Music Companies (VUT) and held in conjunction with Reeperbahn Festival.